A travel budget is your ticket to the trip of your dreams. The best things in life might be free, but the next best things–like travel!–can cost a pretty penny. By learning how to budget for a trip, you can make your dream vacation a reality faster than you think. When you budget your trip, you create a game plan for where your money will go in order to make sure that your vacation is everything you wanted. A travel budget offers a comprehensive look at all the aspects of travel that require spending. Some of the spending happens in advance as you book tickets and make reservations; while other spending is done on site. The best part of a travel budget is that if it’s done correctly, you won’t be bringing back any unexpected bills as souvenirs. And we can help! How do you plan a budget for a trip? Crafting a travel budget is a lot like putting together a regular budget, but it can be a lot more fun. Like a regular budget, it covers typical expenses like housing, transportation, and eating. Travel budgets also include fun splurges like day trips, fancy meals, and even souvenirs. To budget your trip, you will work backwards in each category to create a general ballpark amount for what you expect to spend in that category. By doing a bit of research in advance, you’ll have a much better idea of a realistic amount of money to allocate. Once you’ve crafted your budget, you can decide when exactly you intend to take your trip. If you’re planning a year out, divide the total number by 12 to see how much money you need to save each month. Are you planning to take your trip sooner? Divide by the number of months to see what you need to save. When you’re first making your travel budget, you need to consider all of the categories that might apply. If you’re redeeming airline miles, you might be able to all but omit a major transportation cost (don’t forget taxes and fees!). You might have plans to stay with family or friends. That means that you can eliminate the accommodations expense, but you might want to beef up your dining out category, so you can take your hosts out for a meal to say thanks. We’ll start with an overview of the most common travel budget categories. Then, when you start to budget your trip, you can modify as needed. This is not a staycation, alright? So you’ve got to get yourself there. That means we’re probably talking planes, though maybe ships or trains are more fitting, depending on where you are headed. No matter how you plan to get there, you want to build transportation into your budget. To budget your trip, you can explore different airfare options. If you are loyal to a certain airline or miles program, you can open their calendars and explore different booking options directly. You could also use a search tool like Google Flights or KAYAK to compare different airlines. While you might not be able to input the exact details for your trip due to calendar limitations, you should be able to get yourself a ballpark idea of what it will cost to get there. 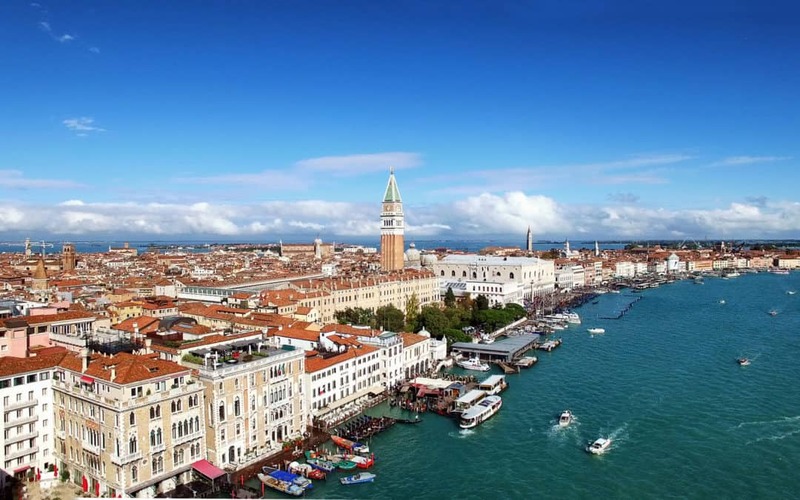 While people tend to think of particular cruise lines when it comes to setting sail, there are actually ways to explore cruise options without being loyal to one particular cruise line or ship. KAYAK released a cruise component to the travel site. In addition to travel sites like KAYAK and Expedia, you might also consider exploring Costco Travel or Groupon Getaways. But remember the purpose is to create a realistic budget. An off-season limited-time offer that you don’t book should not be your budget simply because it isn’t realistic. If you’re planning to travel by train but you haven’t done so in the past, the costs might surprise you. More precisely, the wide range of costs can be shocking. Trains can be anything from an incredibly economical option to a luxurious travel option. If you’re traveling through North America, you might start with Amtrack. When you do you research for traveling by train, you want to make sure that the options you are pricing are realistic to your location and season in the same manner that you would do for air or sea travel. I can’t imagine anything more depressing than realizing you’ve finally made it to your dream destination, but now you can’t do anything other than sit in the hotel room. Even if you plan to do nothing but soak up some rest and relaxation, there’s a good chance you still need to budget for some minor transportation. There’s Uber and Lyft, of course. While ridesharing might be very economical, it still costs some money. Budget for it! It’s also possible that ride sharing isn’t feasible at your travel destination. You can price out different options using SuperShuttle or other transfer services. You might also contact your accommodations to see if airport transfers are included in your stay. Additionally, you will probably want to add a few extra dollars here to cover tipping. When you’re considering how to budget for your trip, you want to think about the different things that you want to do while you’re there. If you’re like most of us, vacations aren’t an everyday thing. That’s what makes them so exciting! While this isn’t a reason to spend all your money, you want to make sure that you’re not filled with remorse when you head back home. If there’s a particular day trip or two that you have in mind, spend some time in advance pricing out the costs. Remember to consider not just the cost of the attraction, but the cost of getting to and from the excursion, especially if it’s a far-flung location deep in the jungle, desert, or wherever you’re off to explore. A great way to keep your trip budget low is to stock up on groceries. If you’re making a grocery run, how are you getting there? More importantly, how are you getting back with all of your groceries? Whether you plan to use public transportation or ride sharing, make sure you account for this when you budget your trip. Location is everything! Not only does it determine how close you are to sights and attractions, it also determines a big chunk of your spending. The type of accommodation you choose will determine the amount of spending you do. When you are designing a hotel budget, make sure that your research matches your choices. If you built your budget based on a motel or a hostel, staying at a five-star hotel will surely bust your budget. To do accurate research, you might use a hotel’s website or you might explore booking portals like Hotwire or Hotels.com. You might also explore package deals through your airline or travel agent. Rentals are another way to experience a location like a local. They can also be helpful when it comes to cutting back on your budget. You can use Airbnb, HomeAway and other vacation sites like any other travel portal. Input your destination and travel dates, and then let their search engine do the work. If you’re one of the lucky ones with an invitation from family or friends to grab a spot in a spare room, your budget for lodging will be quite low. But even if you don’t have an invitation from a relative, you might be in luck if you’re willing to couch surf. You can explore Couchsurfing (there’s even an app!) to see if you can set up a stay with locals at your travel destination. Of course, there are safety precautions you should take, but many couchsurfers use this strategy to see the world for less. Forgetting to factor in food when you budget your trip is a big money mistake. The Big Three–housing, transportation, food–are an important part of your everyday budget. The same goes for your travel plans. If you eat three times a day and might belly up to the bar once or twice (I’m not judging! ), you need to build that into your budget. If you can eat in for at least one of your meals each day, you will free up a lot of wiggle room in your vacation budget. Some hotels and AirBnB options might include a meal or at least a snack. You also have the option of stocking up on groceries, bringing back leftovers, or even filling up your suitcase with snacks. Hey, if you’re going to check a bag, you might as well fill it up. When you budget your trip, make sure you decide on how much you’d like to eat out. Depending on the location and your accommodations, you might find that you have to eat out. But stopping by an authentic taco stand for a quick lunch compared to sitting down to a three-star Michelin dining experience is going to run your budget in two totally different directions. If you’re looking to save big, plan your splurges intentionally. Other good tips to save while you eat out is to dine where the locals do and to look into Groupons, happy hours, and other promotions. As a final bit of research, you will also want to brush up on the tipping culture of the place you’re visiting. If tipping is expected, tack on at least an extra 10-20%. Depending on the type of traveling that you’re planning to do, you might want to carve in a bit of a beverage budget. Should you plan to stay at an all-inclusive resort, you can count on having your drinks–usually alcoholic and nonalcoholic–covered. However if you aren’t headed to an all-inclusive or you plan to travel off-site, you want a beverage budget. Whether craft beer or hand-crafted espresso is more your speed, you will want to account for it in your budget. When you put together a budget for a trip, you definitely want to include a line for activities that you might do while you’re travelling. To see how much you’ll need, the first thing you want to do is consider what is already included. Different accommodations come with different amenities. Some resorts include everything from swimming to paddle boarding. Other stays might mean everything is ala carte. After you know what’s included, think about what you really might enjoy. You don’t have to book an excursion to zipline if you’re afraid of heights. Instead, think about what suits your personality and your lifestyle. Then, price a few different companies or check for online discounts using Groupon or TravelZoo. If you do plan to book guided tours, you also want to familiarize yourself with tips. While they are often not expected, they can be greatly appreciated in locations or wildly offensive in others. Now that you have your travel budget, it’s time to start saving. Instead of putting money into a general savings account, consider setting up a specific account just for this particular trip. You can use Wealthsimple or another service to set up a travel fund in minutes. 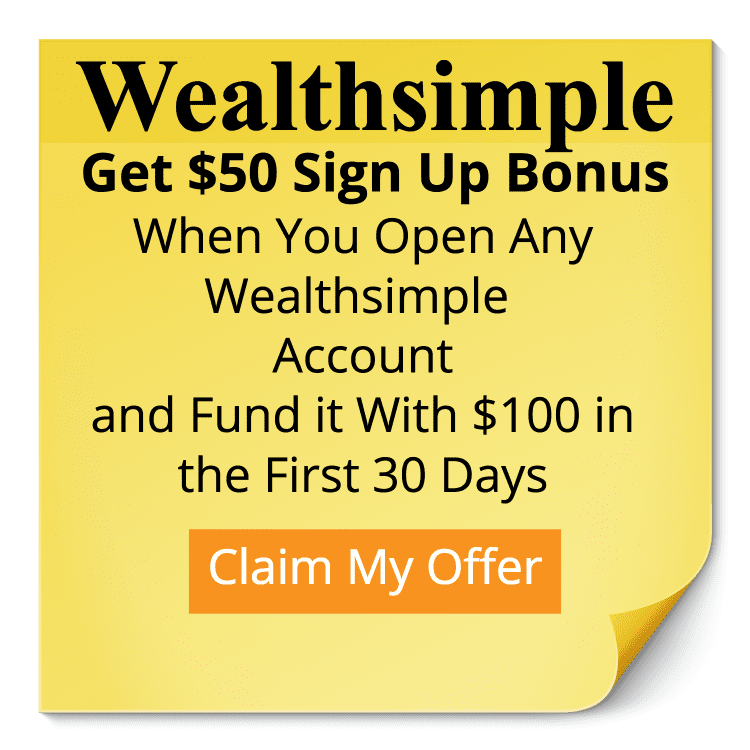 With this link, you can even land a $50 sign-up bonus that’ll get you one step closer to your vacation. After you’ve created your travel fund account, consider setting up automatic payments each payday or each month. You’ll be packing your bags in no time. Like any budget, this isn’t about restrictions. Instead, it’s about making your priorities happen. Determine which part of your travel is most important, and build a budget to match. By using a sinking fund, you’ll be on your way to the trip of a lifetime with no worries about unexpected bills when you return. 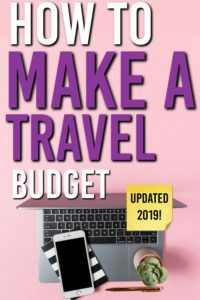 Share this so other people can create a useful travel budget!